Love is in the air…To celebrate we have created some fantastic Romantic and Valentine tours for you to lavish upon your loved one. Christmas is almost here! Are you trying to find the best Christmas present to buy for your loves ones? This year try something different, give your loves ones an experience they’ll remember for the rest of their lives! 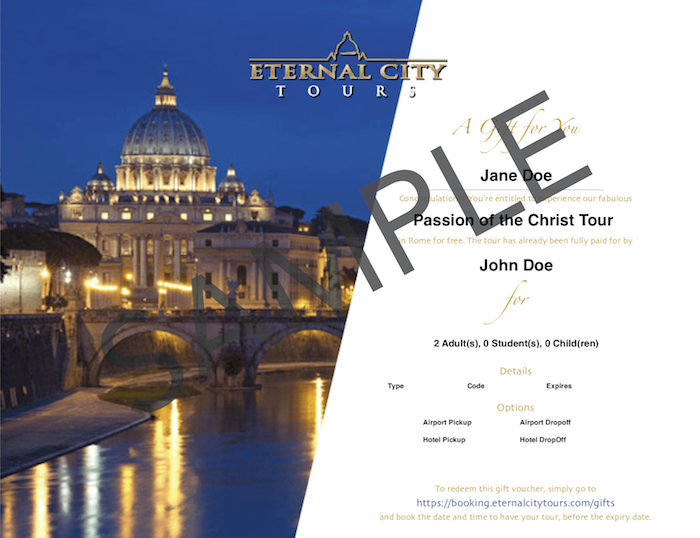 With Eternal City Tours you can gift your loved ones with a voucher for any of our tours, redeemable at any date of their choosing. Click here to see our complete list of award-winning guided tours! This year, make it a memorable Christmas! Give your loved ones cherished memories and truly transformational experiences that will stay with them for a lifetime.